Expatriate insurance is long term comprehensive medical insurance coverage for people living outside their home country. How would you like to pay your premiums? Where does the applicant currently reside? Do you live/work on a boat? An expatriate is broadly defined as a person who lives outside his or her native country. In 2015, it is estimated that there are over 230 million expatriates worldwide. This number has grown from barely 70 million in the last 50 years. Today Expatriates make up about 3% of the global population, and if there were an independant country, they would be the fifth most populous nation. We offer several International Private Medical Insurance (IPMI) plans offered by different reputed US based providers. These international medical insurance plans are popularly known as Global medical insurance or Expatriate insurance and they provide long term cover to people working or living outside their home country, usually for one year or more. These plans are ideal for expatriates and their families, individuals with dual residences and multinational employers. Since these International medical insurance plans are designed to provide long-term, worldwide medical cover, it allows customers to receive and continue treatment anywhere in the world that they choose. Persons living outside their country of citizenship (expatriates) may not qualify for medical insurance from their adopted country or they may want to have insurance that can work for them wherever they are so they have the option of visiting home from time to time without purchasing additional medical insurance. In that case, international health insurance may be just the right option! You can purchase the insurance to begin from the day you leave your home country or after you have already arrived in your adopted country. The insurance must go through the company's underwriting process, so you may have to submit medical information (the process may be easier if you have some access to these medical records). A great advantage to these plans is that once you are accepted on the plan, you are guaranteed the policy year after year. The price will increase with age, not based on any medical conditions you may develop along the way and you cannot be removed from the policy. There are great options available whatever your adopted country may be! Feel free to check out prices and options at American Visitor Insurance as we are dedicated to getting you the best option for the best price! There are 55 million expatriates worldwide. International travellers and Expatriates who live and work outside their home country are vulnerable to paying high out of pocket medical expenses if they have an accident of fall ill unless they have adequate international medical insurance. 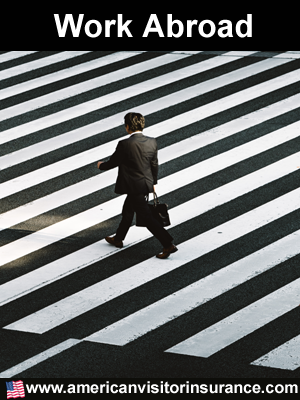 Working Professionals : This group are often on limited length assignments and are most likely to return to the US after their assignment is completed. Lifestyle migrants and Pensioners: This group of Americans move abroad in search of a better way of life, warmer weather and a cheaper cost of living. This includes an increasing number of pensioners and retirees. This includes US citizens relocating back to their countries of origin where they or their ancestors migrated from to the United States. While there is no reliable data collected on American expatriates and their locations, the following are estimates of locations with the largest number of US expats. 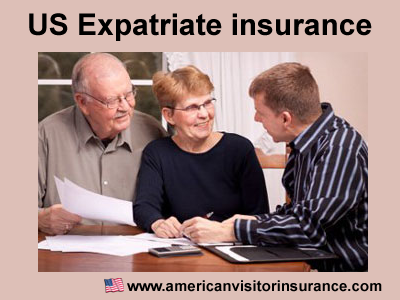 It is important for American Expats to have proper expatriate insurance wherever they live. Good US expatriate insurance will provide good health coverage around the globe as well as provide Americans the option of getting their healthcare taken care in the United States. Confused whether to buy trip or travel or global insurance? Know the differences! Need health understanding insurance? Here are some useful insurance resources! Here are some factors that you need to consider while buying insurance.